What Meats Can I Eat With High Cholesterol? While cholesterol is a necessary component in your body, too much of it can be dangerous, leading to clogged arteries that can cause heart disease, stroke and heart attack. Cholesterol is produced within your body, but the highest dietary source of cholesterol comes from saturated fats. According to Discovery Health, animal products account for two-thirds of the saturated fat intake in the diet, much of which is from meat. If you have high cholesterol, you do not have to give up meat altogether. Making wise choices when selecting and preparing it will help keep cholesterol levels in check. You may think that any meat that has the word "fatty" in front of it can't be good for cholesterol. 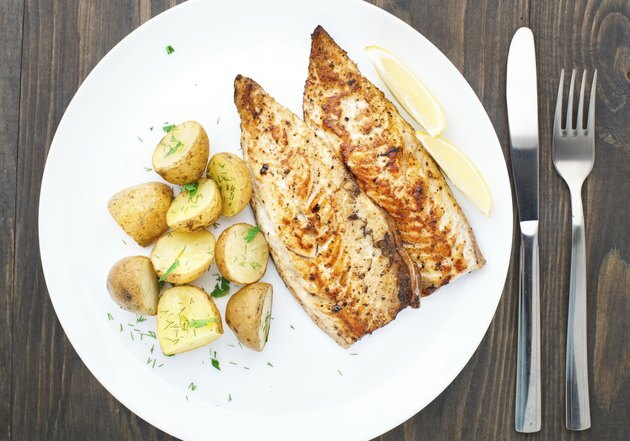 The fact is, fatty fish is high in omega-3 fatty acids, which are reported by the University of Maryland Medical Center to lower bad or LDL cholesterol while raising the good or HDL cholesterol levels. Fatty fish include salmon, mackerel, albacore tuna, herring, sardines and lake trout. 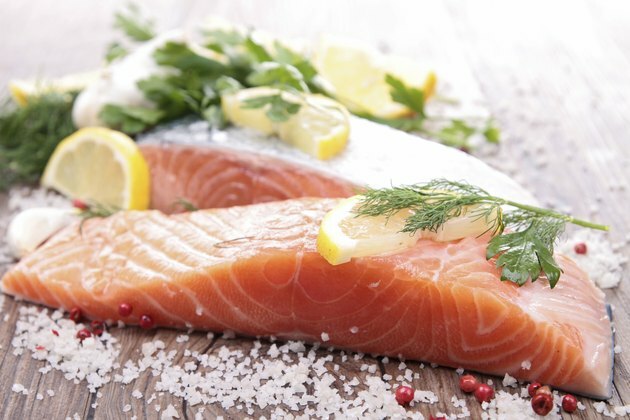 The American Heart Association recommends consuming fatty fish at least twice a week. When you are trying to lower high cholesterol, select poultry without the skin. According to the AHA, all meats have roughly the same amount of cholesterol in them, which is 70 to 80 milligrams in a 3-ounce serving. Removing the skin from poultry and selecting the white meat will help cut back on fat intake. Avoid dark meat as it contains a higher fat content than light meat. 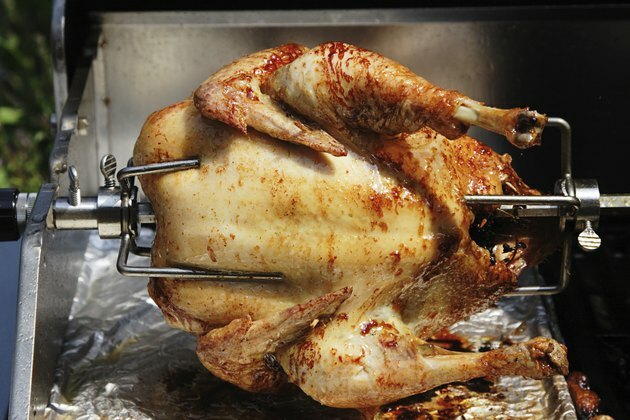 When preparing poultry, do not fry it, but enjoy it baked, grilled or boiled. Turkey and chicken make the best choice for poultry, as duck and goose are higher in fat. Red meat does not have to be eliminated when you have high cholesterol. Again, selecting lean cuts can help reduce the fat intake. 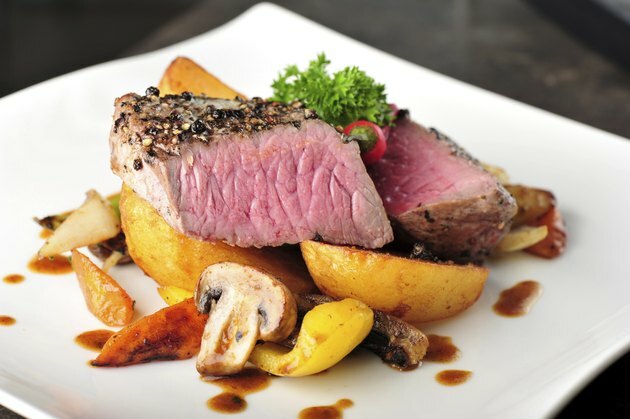 The leanest types of red meat are chuck, sirloin, loin and round. Make sure all visible fat is trimmed from the meat and cook it in a manner that will separate it from its fat, such as grilling, broiling or baking. The AHA recommends consuming no more than 6 ounces of meat per day, regardless of the type. Pork can still be enjoyed on occasion, but limiting pork intake is recommended. If you do wish to eat pork, avoid highly processed types, such as bacon or sausage. 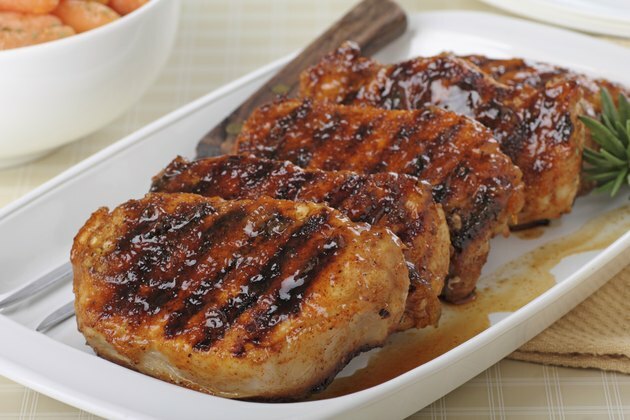 Cut all visible fat from pork chops, loins or roasts, and prepare by grilling, baking or roasting. Organ meats of any origin, such as liver or kidney, should be avoided.